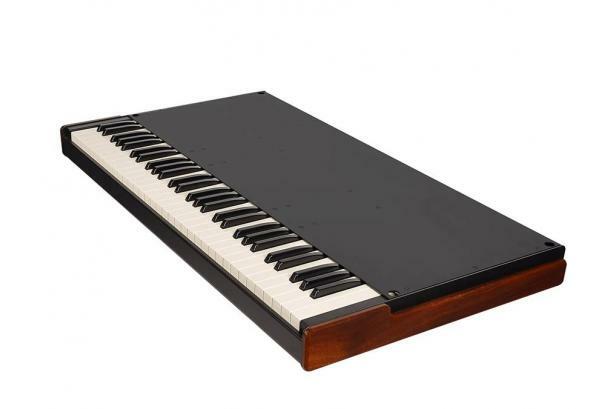 The Mojo61B makes the Mojo61 an all-rounder for someone who sometimes has needs a single manual, but who sometimes wants to play a full organ with a complementary 2nd keyboard. The combination of the Mojo61 and 61B makes an extremely compact and lightweight organ that is easy to operate and distinguishes itself in character, experience and authenticity. The connection of the Mojo61B is very easy. You connect the supplied MIDI cable to 1 of the MIDI IN ports on the Mojo61. You turn on the Mojo61 and you select "EXT-LOWER" ("MODE" button until the yellow light goes on) and you are all set! The Mojo61B offers the possibility of connecting a so-called Half Moon switch. An indispensable addition for many organ players who want the feel of a tone wheel organ. NOTE: The "Half Moon" switch for the Mojo dual keyboard organ is not compatible with the Mojo61.